or the edge of the world at sunset. on a Coca Cola billboard. basking on the back of a burro. It took me half a second after reading the NaPoWriMo Prompt for Day 7: “Write a love poem to an inanimate object” to know that my subject would be my paintbox. 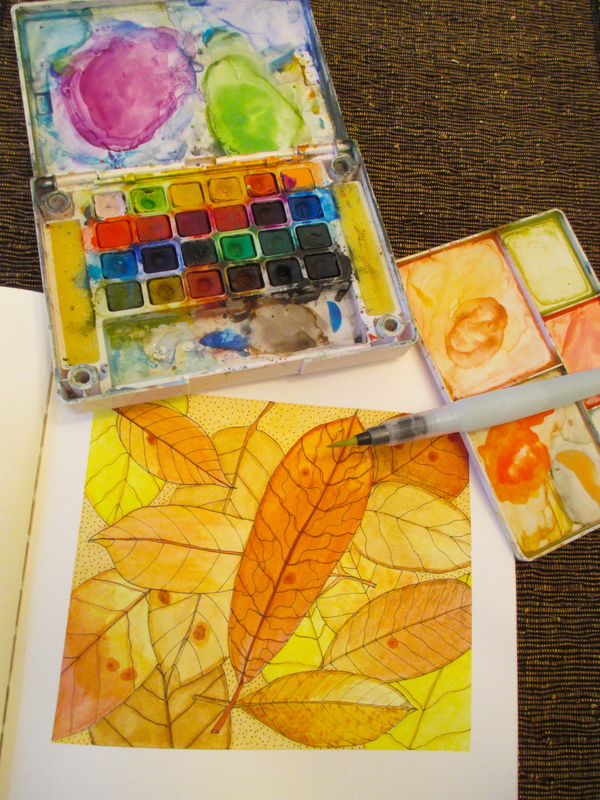 Like my camera, I never leave home without it and my watercolor journal, just in case my muse screams, “Paint that! Paint it NOW!” In addition to the rich colors, I adore the paint names, which are even better than those in a 150-pack of Crayolas, though that was my second choice. Love this flowing poem of color and character like a painting. Bravo! Merci madame, and I am loving yours! Turning the water-color-pastilles of a simple field-box of paints into poetry is a touch of genius. Oh, I’m feeling a Permanent Yellow Deep glow after reading that, R. Thank you! A bit of a cheat, but I could not resist sharing my favorite blogger and poet extraordinaire with you. I share her sentiments about my favorite paints, but she puts it so much better than I! I reblogged your post for my “O” today . . . Such a lovely poem! I am honored! Thank you Katie!